Karnavati RG Green Homes in Natesan Nagar, Pondicherry by Karnavati Constructions is a residential project. 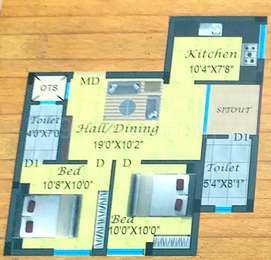 The size of the APARTMENT ranges in between 829 sq.ft. and 951 sq.ft. Karnavati RG Green Homes price ranges from Rs. Rs. 4.04 Lacs to Rs. Rs. 5.91 Lacs. Karnavati RG Green Homes offers facilities such as 24/7 water supply, Gymnasium, Children's play area, Lift and Power back-up. It also has amenity like Jogging track. It also offers services like Community hall and Creche. Karnavati RG Green Homes has a total of 1 towers. The construction is of 4 floors. An accommodation of 24 units has been provided. Pondicherry is witnessing growth in every aspect. Hence, the real estate market is also witnessing growth. The major drivers of the realty market of this city are booming industries that generate new jobs, infrastructural developments and presence of quality healthcare and educational institutes. The stable demand is to supply ratio further creates an impact on the positivity of real estate markets. The city has a wide mix of residential units including luxury, affordable and mid-segment. Where is Karnavati RG Green Homes located? The project is located in Natesan Nagar, Pondicherry. 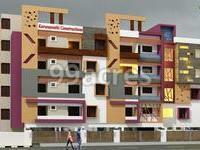 What apartment sizes are available in Karnavati RG Green Homes? The project offers apartments sized between 770.0 sqft and 1126.0 sqft. What is the 2 bedroom size in Karnavati RG Green Homes? 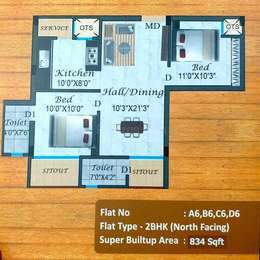 2 BHK units in the project are available in a size of 770.0 sqft to 880.0 sqft. What is size of 3 bhk in Karnavati RG Green Homes? 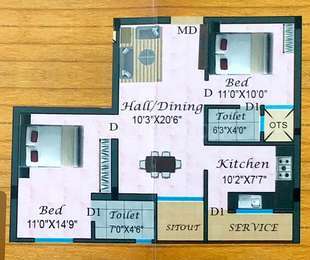 The area of 3 BHK apartments ranges from 1032.0 sqft to 1126.0 sqft. What is the price of 2 bhk in Karnavati RG Green Homes? The project offers 2 BHK units within Rs. 4042500 to Rs. 4620000. What is price of 3 bhk in Karnavati RG Green Homes? 3 BHK apartments in the project are available at a price of Rs. 5418000 to Rs. 5911500.